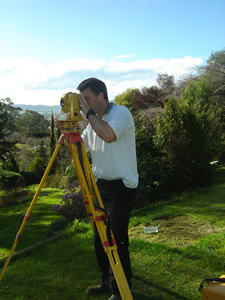 Leading edge technology and expert skills and knowledge, combined with the personal attention of Craig Horne are the qualities that enable Craig Horne Surveyors Ltd to provide great customer service. We pride ourselves on being able to deliver a quality service to our clients on time and within budget. Whether you are a home owner, farmer, developer, or involved with land in any way, Craig Horne Surveyors Ltd is the right partner for your project. © 2010 Craig Horne Surveyors Ltd. All rights reserved. Webdesign & development by Kaiser Creative Studio, Dunedin.